I guess this is why the locals call it “the lizard of great sleepiness”. 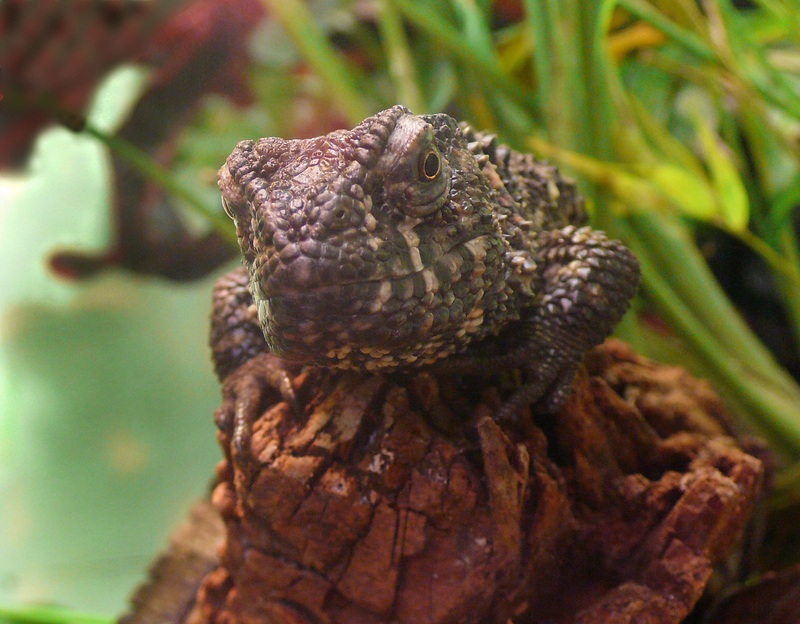 Is a lizard. Which reaches up to 40 cm (1 ft 4 in) long. They're mostly Chinese. First discovered in 1928, they were long thought to be entirely restricted to the Dayao mountain range in the habitually scenic Guangxi Province, southern China. Then, in 2003, another population was found in northern Vietnam. It didn't help their numbers much, though. 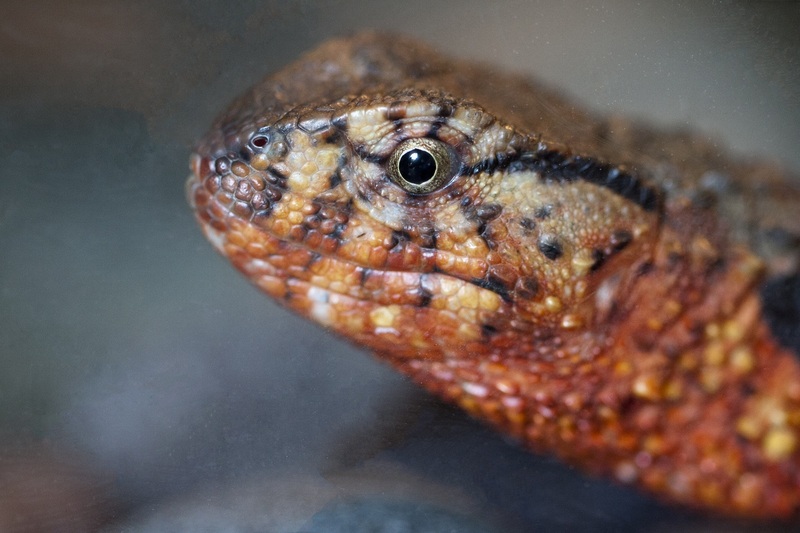 The Chinese Crocodile Lizard remains rare and endangered, their total population split into several widely separated subpopulations that cling to pockets of suitable habitat. 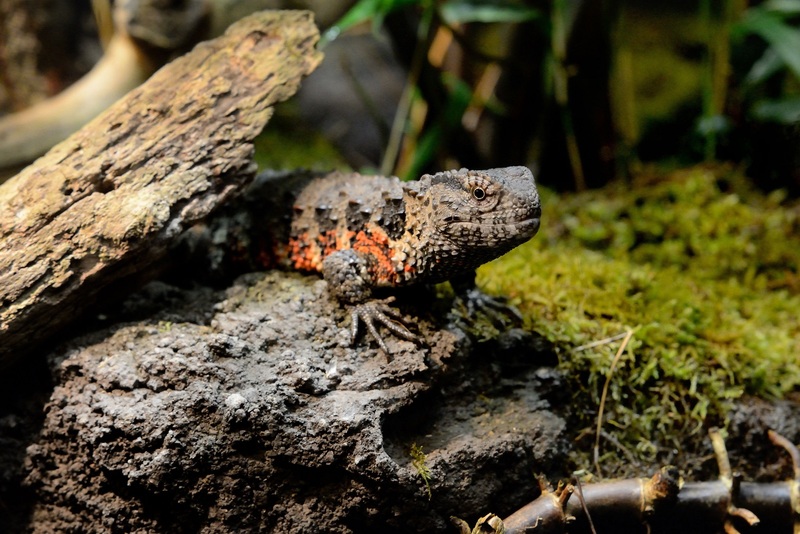 Chinese Crocodile Lizards are semi-aquatic, dividing their time between cool, shallow, slow-moving water bodies and nearby land. They can dive underwater to escape predators or grab a bite to eat or just... hang out. 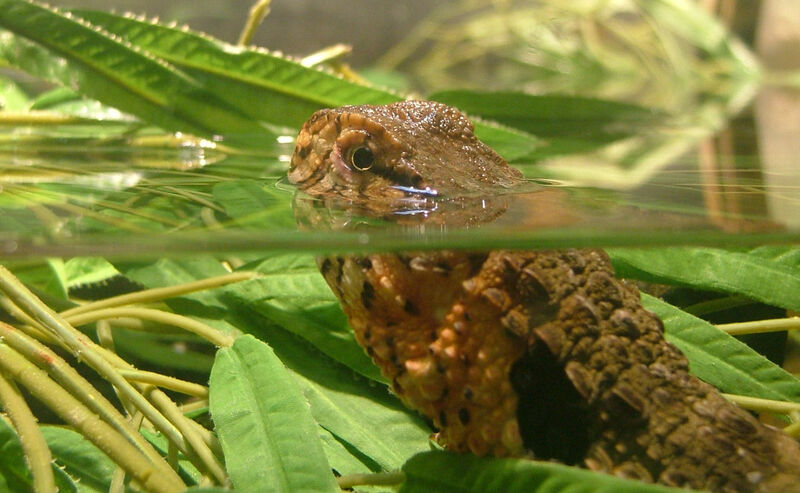 Their ability to reduce their respiratory rate means they can stay submerged for over ten minutes, perhaps as much as half an hour, before needing to breathe. Their crocodile's tail! It's lined with thick, sticky-out scales just like a crocodile! 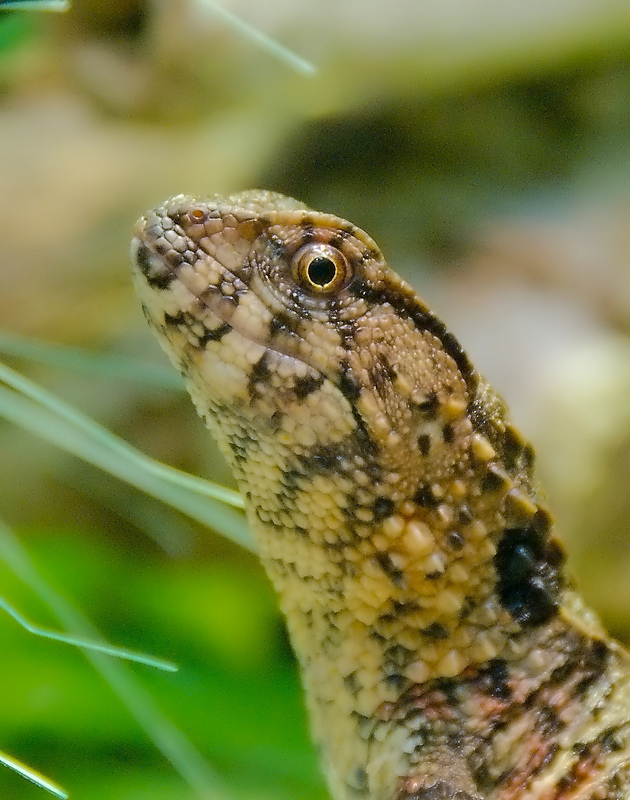 Chinese Crocodile Lizards still spend a lot of their time on land, perhaps snatching up a snail or worm. However, they also like to just... hang out. And now that they don't have to worry about their next breath of oxygen, they can lounge about for HOURS doing nothing at all! It's a true, reptilian lazy bones of the highest order! And since they usually live alone with a pool of water all to themselves, there's no-one around to tell them what to do. Bliss! There are a few times when they get a little more active. One is when a predator gets their filthy mitts on them. Now they'll squirm and bite and defecate all over the place. A very convincing display of displeasure and an important lesson: some things are best left to sleep. Or laze, in this case. Another time is when winter approaches. After all that time sitting alone on a rock doing nothing for hours on end, they congregate in crevices and treeholes to hibernate from November to March. It seems they can only bear each other's company when they're all asleep! Then there's the breeding season in July and August. Males are already typically a little more colourful than the females, now the orange on their belly becomes just a tad brighter. Nothing too strenuous you understand. Females give birth to up to a dozen babies after 8 to 12 months. Thankfully their mother doesn't have to go to any effort because they're immediately active and ready to hunt on their own. They do so in nearby areas for the first few weeks, before leaving to find water pools of their own and a bit of peace and quiet. 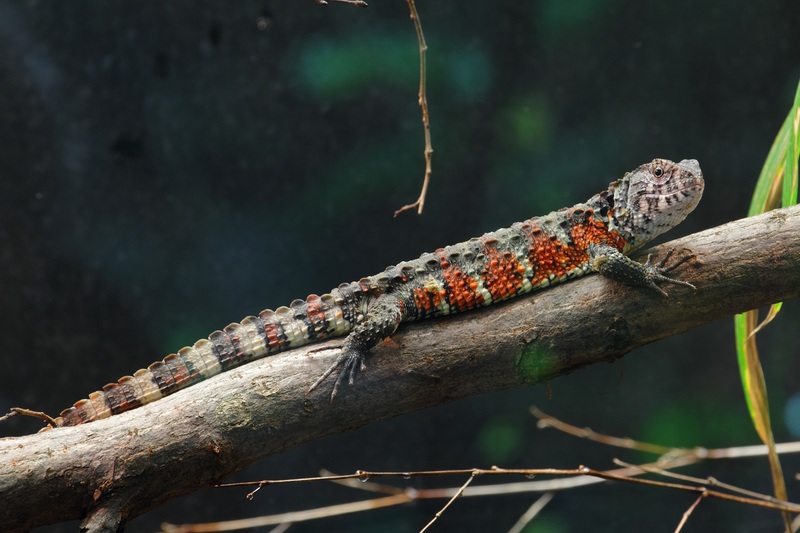 Chinese Crocodile Lizards even enjoy their own space on the evolutionary tree. They are the only living species in the Shinisauridae family, their closest relatives exist as fossils dating back to the Cretaceous. 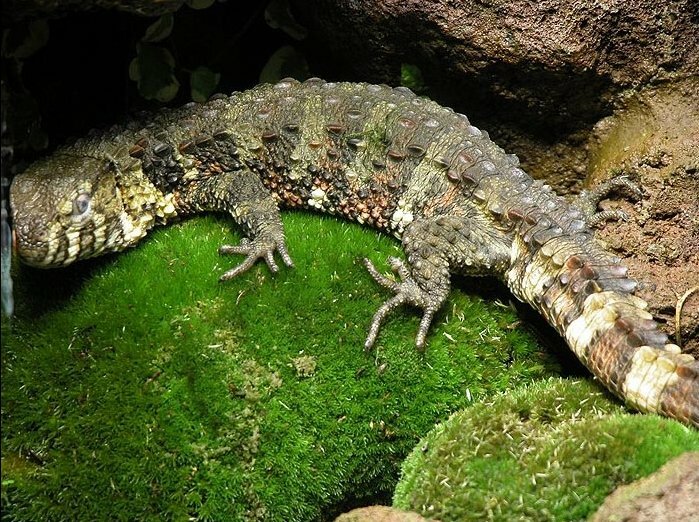 It had been thought that their closest living relatives were a group of lizards known as Xenosaurids but more recent molecular research places them within Platynota, alongside athletic monitor lizards, venomous Gila monsters and fearsome mosasaurs. 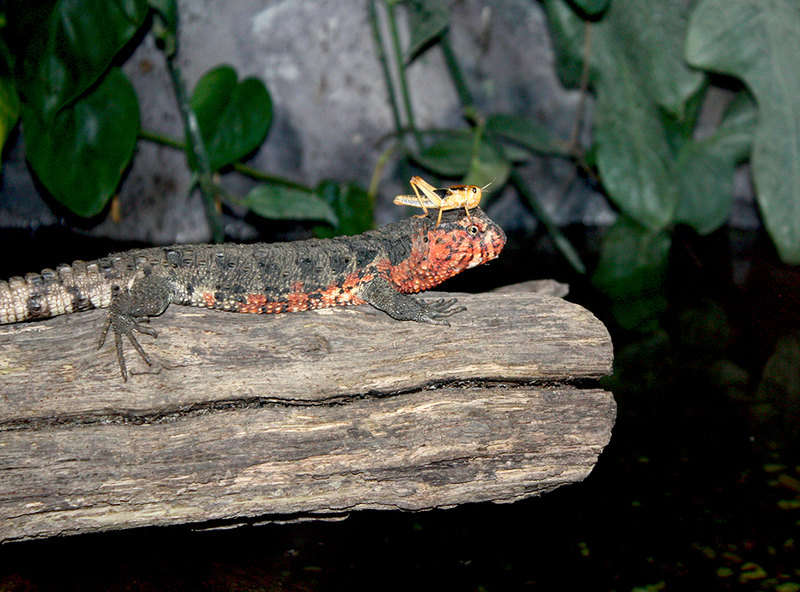 I guess the Chinese Crocodile Lizard was happy enough with the tail. Is that a picture of a lizard with a grasshopper for a hat? Well that just isn't cricket! @Crunchy: It's probably raining. You can't play cricket when it's raining! The Mimic Octopus is a tough one because you can never really be sure you've got one. If I recall correctly, Joe (may I call you Joe?) tried it a few months back only to discover he'd been writing an article about a shoe he found in the highway.